Be Nice. 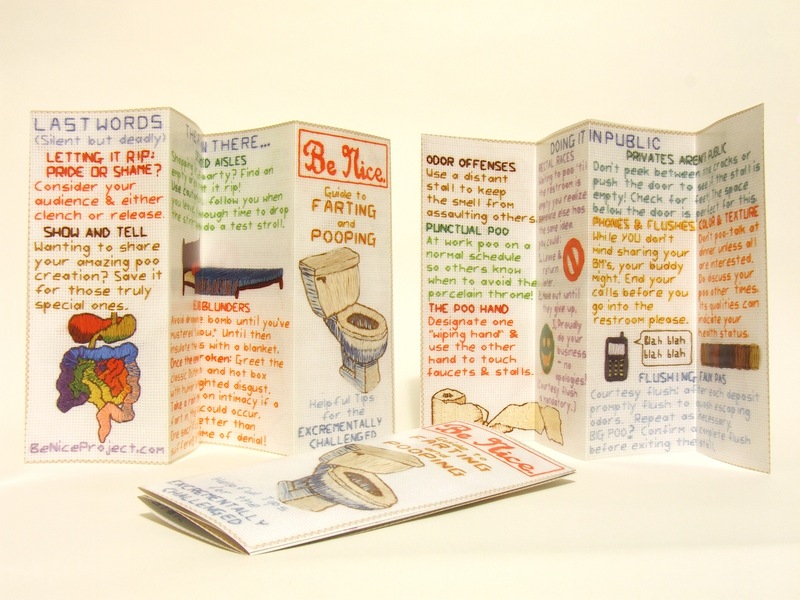 Guide to Farting and Pooping | Be Nice. I embroidered this piece on a one-to-one scale with its paper counterpart. The brochure is a four-fold (accordion style), full color object sized 8.5 x 14 inches. Contact me if you would like a copy! Be Nice. Guide to Farting and Pooping. Left section is the rear cover; Right section is the front cover; Inner section is the inside back. Be Nice. 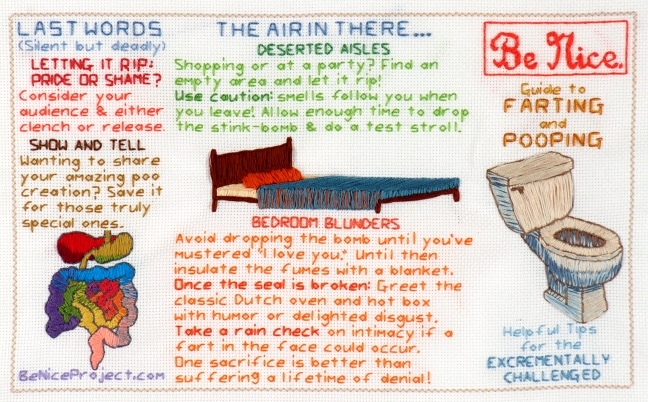 Guide to Farting and Pooping. This is the inside of the brochure. Copyright ©2010. Jennifer Hunold. All Rights Reserved. this is awesome. as someone who faces these kinds of issues with coworkers each day, i love the gentle reminders in embroidery. something about the softness of the medium takes some of the sting out of the commentary. Hello! dbakfge interesting dbakfge site! I’m really like it! Very, very dbakfge good! Pingback: Fun little story | Be Nice. Pingback: My best moments happen in bathrooms | Be Nice.